The name Rudis Sylva is the ancient name for the village of Les Bois. Coming from Latin, it means "The Forest of Ruedin". Ruedin was the name of the settler of the village. When Jacky Epitaux decided to establish his own Haute Horlogerie brand, he decided to position it in his native town, Les Bois. Hence the Rudis Sylva brand name which was launched in 2007. 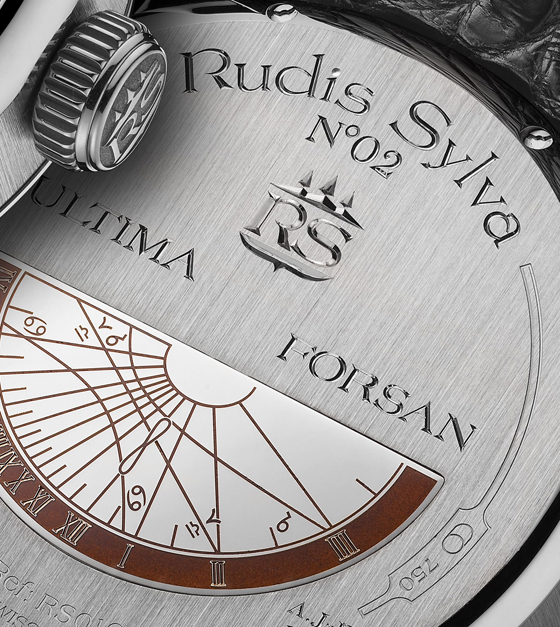 Rudis Sylva recently presented the RS12 Grand Art Horloger, the third generation of their timepieces equipped with the Harmonious Oscillator. 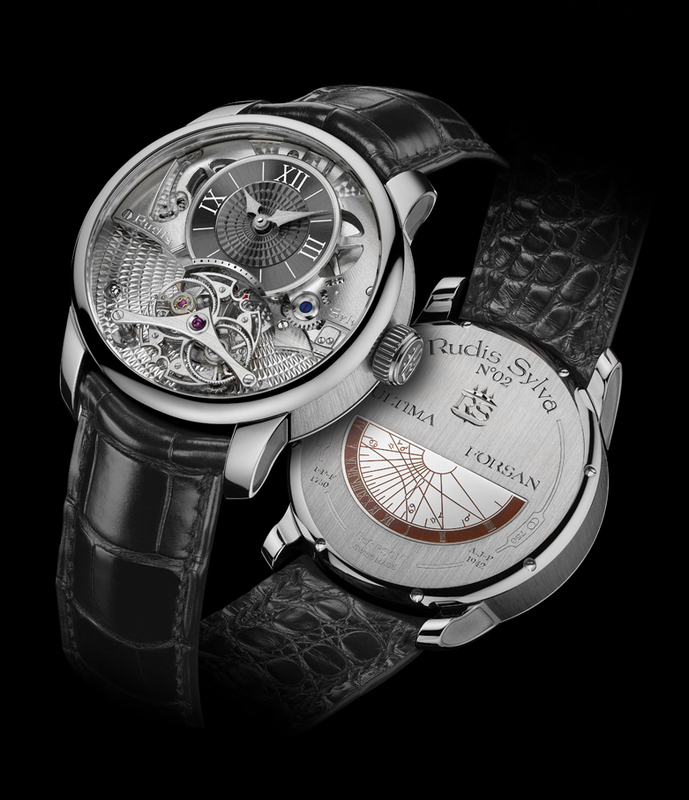 This unique patented technology, thanks to the asymmetric deployment of the balance springs in all positions - hence the name "Harmonious Oscillator" - offers even better accuracy than most conventional tourbillons or carrousels almost approaching perfection in terms of time-keeping precision. 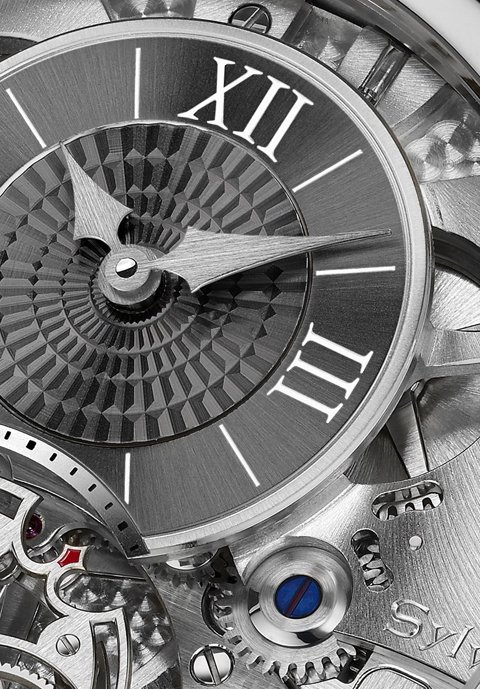 The Harmonious Oscillator has some characteristics in common with a tourbillon or a carrousel. All the three mechanisms are mounted on a rotating cage which completes a full revolution in 60 seconds and have the goal to improve accuracy by counterbalancing disruption of the balance isochronism due to the Earth's gravity. Nonetheless, there is an important difference. In fact, in the tourbillon the balance staff is situated on the same line as the tourbillon cage pivots while in the carrousel the balance staff is eccentric. With these two systems it takes one minute (a full revolution) to compensate the loss of accuracy due to the effect of gravity. Instead, the Harmonious Oscillator, by means of the interconnection of the balances and asymmetric deployment of the mainsprings, enables instantaneous time correction in the vertical position. The finishing is at the highest Haute Horlogerie levels. 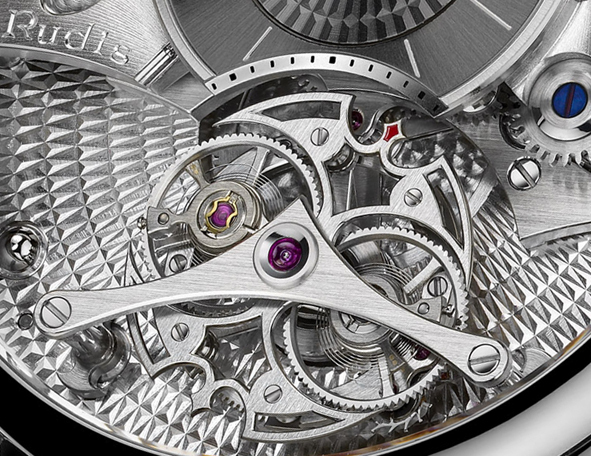 The seconds indicator bridge is machined from titanium and hand-bevelled and includes no fewer than 28 internal angles. It takes 10 times longer to create a sharp internal angle in titanium than a rounded corner in steel. The lower part of the main plate features a hand-crafted guilloche decoration of tapering pyramids. From the edge to the centre of the piece, each guilloche line includes 60 pyramids, each one smaller than its neighbour, requiring extremely meticulous guilloche operations. Precise hand-engraving and over-fired enamel add allure to the timepiece. The 44 mm case is available in red or white gold.